Let's talk fevers for a moment. My son has had one since last night, and it's interesting because this morning I read a post in someone's story, where she discussed the importance of fevers, which echoes my own sentiments. In America, we have this strange desire to get rid of fevers as soon as possible, and continually dose our children with acetaminophen medications, which suppress fever and prolong illness, and can damage the liver. Usually, fevers are not dangerous, and medication is not necessary. At high temperatures, they can be, and can damage organs, and medication or other care is advised. However, if your child has a mild fever, it's usually best to let it run its course. By suppressing the body's natural fever response, you allow microbes to proliferate and infection to fester within the body, prolonging the illness. By medicating, you don't allow the body to do its job. Certain herbs can be used to aid the body during times of fever, without outright overriding the body's mechanisms. These herbs can be cooling, and often work by opening pores and stimulating sweat, which works with your body - not against it - and allows the fever to run its course. 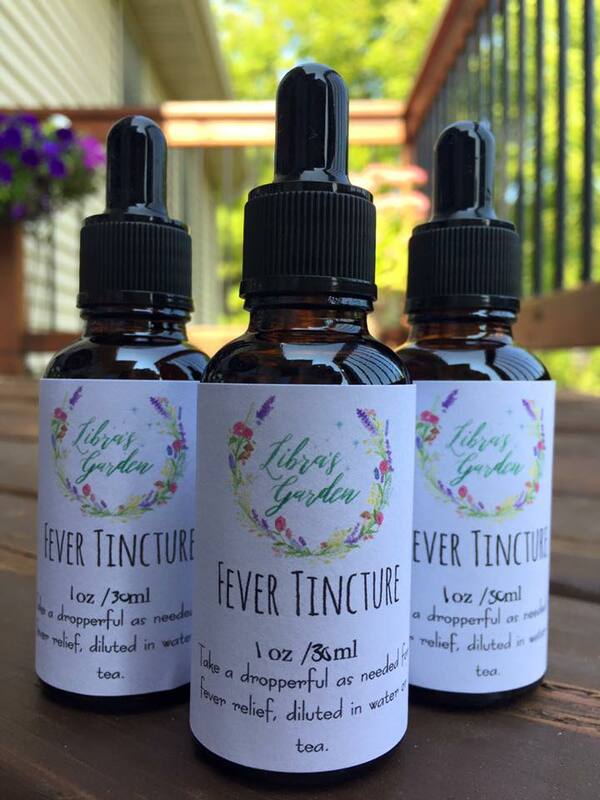 Yarrow, peppermint, and Elder flowers are traditionally combined, or can be administered alone, and goldenrod is also administered during fevers. Usually, these herbs are prepared as a hot tea, or as tinctures which are added to hot water and ingested like tea. Please note that I believe there is value in all medicine - when used correctly. We mustn't rush to medicate everything at the slightest discomfort, and override our body's natural mechanisms, because the body has these systems in place for a reason. All medicine has its place, and I urge you to do research and use sense when facing illness or administering medications, especially with young children, the immune-compromised, and the elderly.